The citizens of Origin were called together by a man named BORDAS….he came to us with a story. “Many years ago, my band of evildoers went into Trinsic and raided the city. During that invasion we kidnapped the kings blacksmith Burke and have kept him a prisoner ever since. Raising our weapons in agreement, we headed to Fel to seek out these bandits…. What we found was…a little more then we expected. Having our hands full battling the mighty dragons and evil players, the bandits took the opportunity to sneak off with the prisoner. in PvM and PvP. As one survivor stated “it was a BLAST”! to Pangu, Origin Advisor and SS for the pictures. The Grinch is up to no good! He has taken Santa’s sleigh and kidnapped some of his Reindeer’s! Join us on 12.23.2014 @ 9PM EDT as we try to help Santa rescue Xmas! We will be meeting at the West Brit counselor Hall! [EM Event] Fishing Tournement with EM Xanthus! On Friday, November 21st, EM Xanthus will be hosting a fishing tournament. The fun starts at 9 PM EST (8 PM Central) at the Jhelom Docks east of the moongate. So grab your fishing poles, grab your boats and come on down for some fishing fun! Comments Off on [EM Event] Fishing Tournement with EM Xanthus! 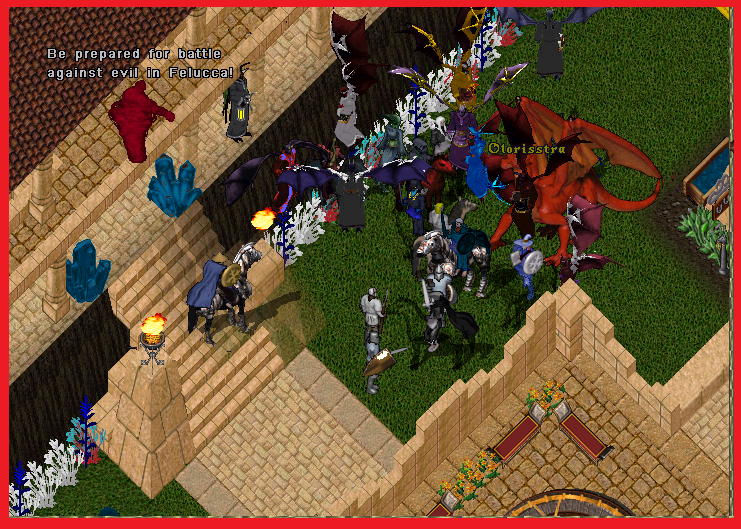 Come meet the developers at Blackthorn Castle tonight! Meeting will begin at 9 PM Eastern time. On Sunday, October 19th I will be hosting a scavenger hunt! Please join me at Brit Guild Hall at 9 PM Eastern (8 pm central) for some fun! On Saturday October 12th, there will be a Meet and Greet held at the Brit Guild Hall at 10PM EST. We will take this time to get familiar with your new EM. We will discuss a great many things event Related and possibly introduce to you the newly added Advisors to Origin! I look forward to meeting each and everyone of you! Taryn read the tattered message the frantic villager had delivered moments ago. She wondered if this was somehow connected to the other strange occurrences. She supposed there was only one way to find out. 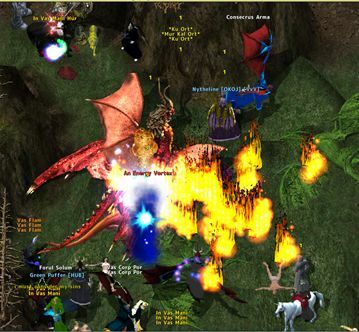 Please meet Taryn Sullivan at the West Britain Counselor Hall on Sunday, June 8th at 6 p.m. PDT/9 p.m. EDT. I wanted to write you all to let you know that I have not left you, or the EM program. I am still here and still, mostly, alive. However, this is one of the times where that annoying thing called real life has dealt me a bit of a bad hand. I’m currently engaged in a priority one customer project at work. We hit a critical issue with one of our customers and I have been leading the team to try to resolve it. I’ve been working over 80 hours a week for the past few weeks and don’t see that changing for at least the rest of this month. I’m seriously not exaggerating when I say if I’m not sleeping, I’m working on this project. I’m eating my meals in front of the computer trying to sort through and straighten this out. Unfortunately, it leaves very little time for family and no time for my Origin family currently. I promise you, I have not left you and I will be back in holding events, telling stories, threatening to cook things and just generally enjoying you all just as soon as I can. For the time being, however, I have to take care of this. I’m hoping to have it wrapped up by the end of the month, or, at the least, in a good enough state that it won’t require all of my waking time and energy. With heartfelt apologies and a promise to return as soon as humanly possible. Please join us for the investigation of this matter at the EM Hall in Britain on April 27th at 3 p.m. Eastern (12 noon Pacific) . 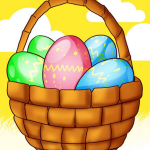 [EM Event] Easter Egg Hunt! Ziggy has been feverishly collecting and hand painting eggs to cut down on the time the Easter Bunny has to spend doing it. Now Ziggy wants to have a big egg hunt! Come out Friday night and see how many of the Easter Eggs you can find! 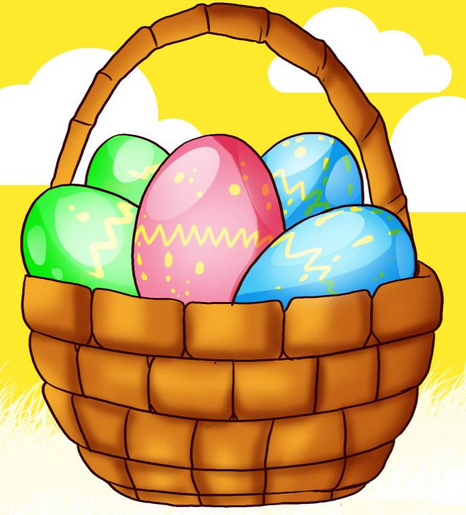 Meet at the West Britain Counselor Hall Friday, April 18 @ 6:30 p.m. Pacific to show off your Eggsellent Egg Hunting Skills! Comments Off on [EM Event] Easter Egg Hunt!